Personified gave this 5 stars! 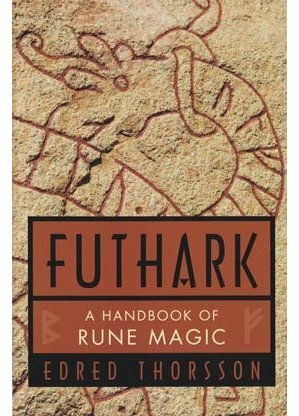 Futhark: Handbook Of Rune Magic by Thorsson/Flowers This complete book of rune instructions includes a history of runes as well as their lore, based in metaphysical thought and mysticism. Also find within the definitions for 24 runes of Elder Futhark. Thorsson's book on runes is very in-depth, very practical and a must-have if you're interested in runic work.